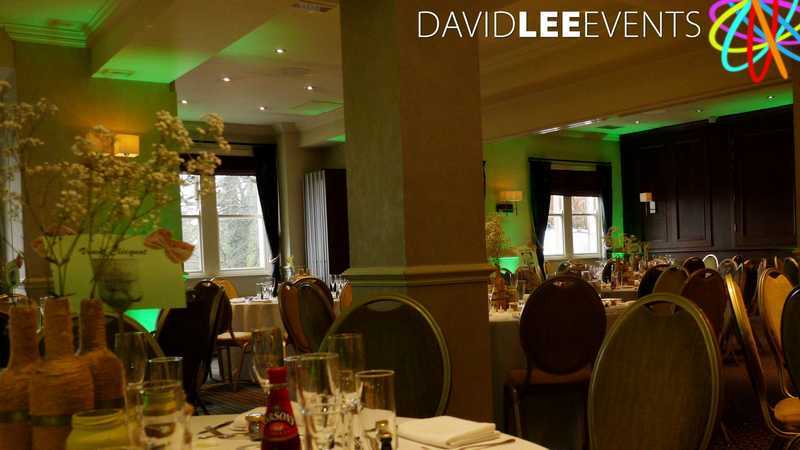 Initially this wedding was to be held in the Alderley Edge Festival hall but due to it be being closed they had to relocate at short notice and the Alderley Edge Hotel stepped up and where absolutely fabulous for the couple in question. 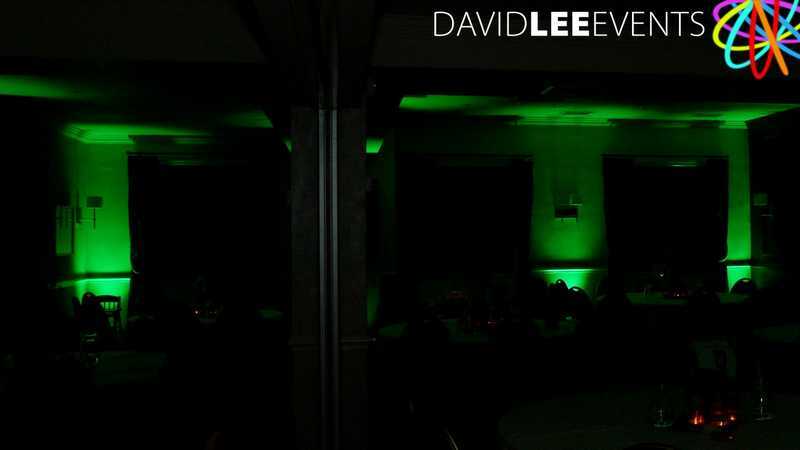 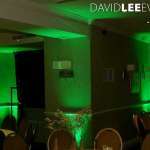 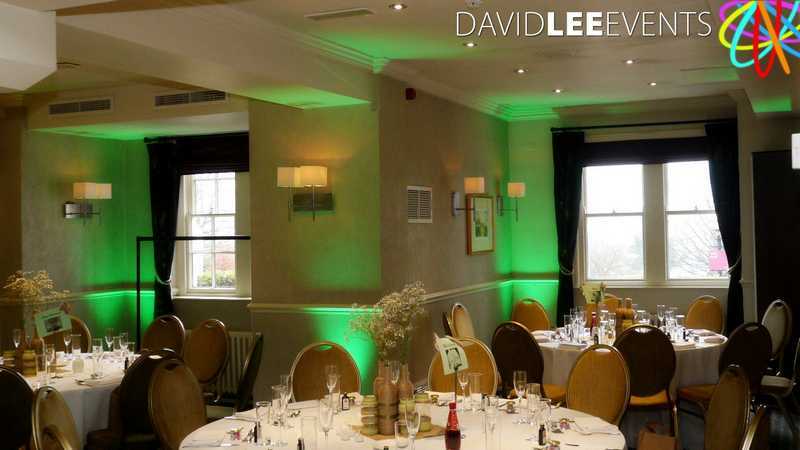 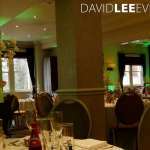 Being honest green isn’t the most common colour for uplighting but I think this adds to the WOW factor as it’s a less used colour. 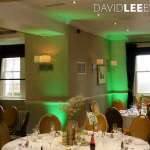 As in this case, I think it looked great, complimenting the venue, especially in the evening. 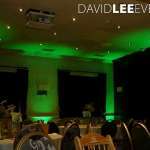 Below I have attached a couple fo pictures to show how a nice polite backdrop the uplighing makes in your venue. 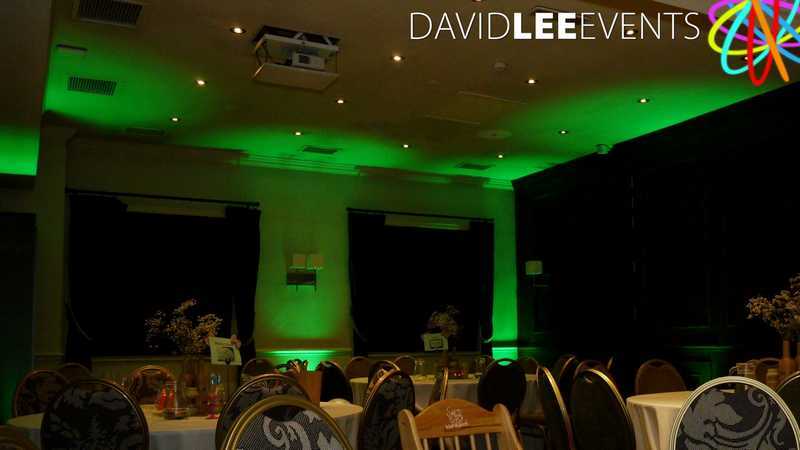 Then above and below a coupls of night time images to show how the uplighting can really change the atmosphere of the room. 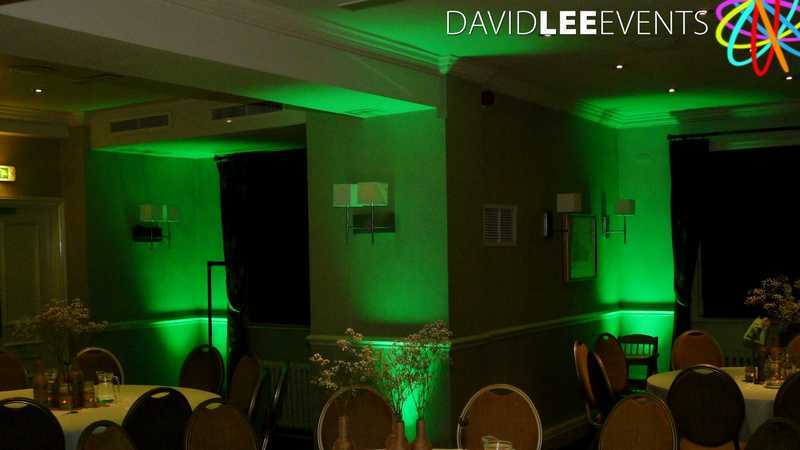 Obviously other colours are available so don’t be shy in asking if I can do your colour here or any other venue in Cheshire. I look forward to hearing from you.